In the unmodified image, the neural network correctly identifies many items in a cluttered living room scene with high probability. Add an elephant and problems arise. The chair in the lower-left corner becomes a couch, the nearby cup disappears, and the elephant gets misidentified as a chair. 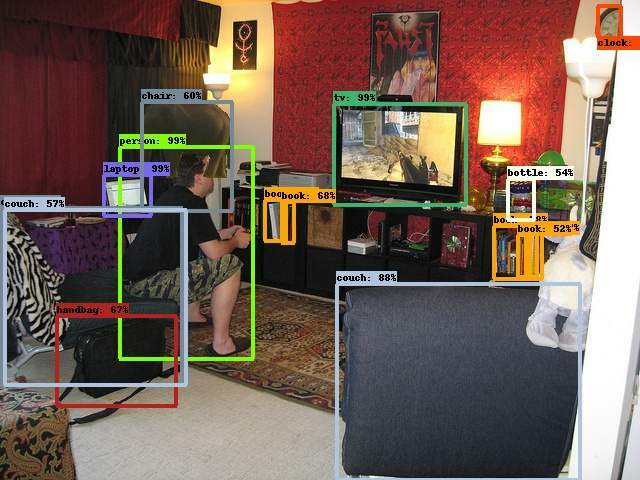 In the unmodified image at left, the neural network correctly identifies many items in a cluttered living room scene with high probability. Add an elephant, as in the image at right, and problems arise. 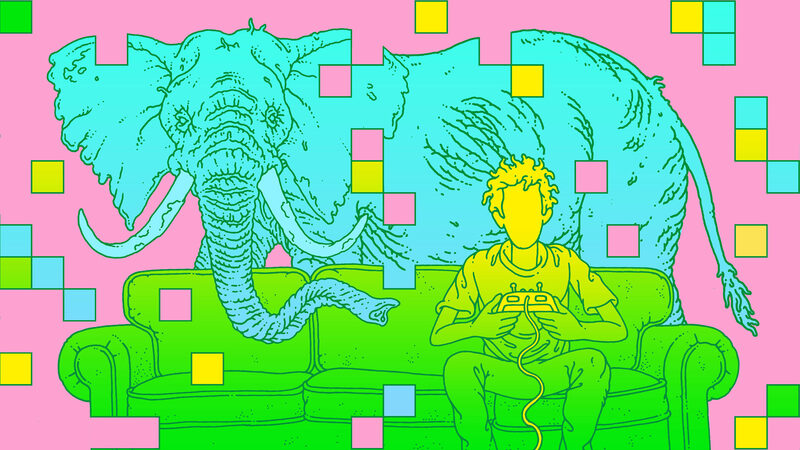 The chair in the lower-left corner becomes a couch, the nearby cup disappears, and the elephant gets misidentified as a chair.